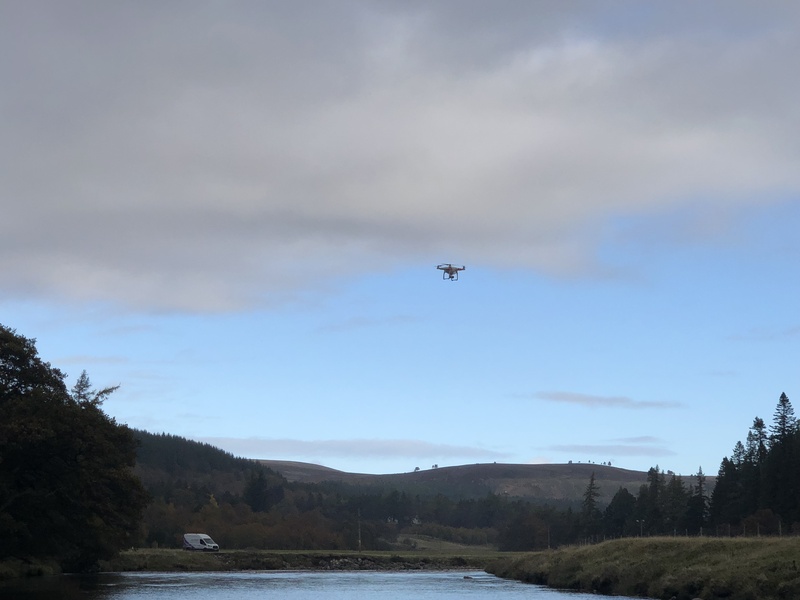 Engineers have used a drone to fly broadband cable across a river for the first time to reach a remote property in a Highland glen. The Openreach team used the innovative method to reach a home on the other side of a 50-metre wide stretch of river in Glenmazeran. New armoured cable has been buried along 10km of single-track road through the glen to the right of the River Findhorn, where most of the 37 scattered homes included in the first phase of the project are located, but a different approach was needed for the property across the water. Engineers completed a week’s training to become certified by the Civil Aviation Authority to fly the drone for commercial purposes, and then used it to fly the cable across the river, where it was connected to a telegraph pole. Openreach plans to use drones as part of its “toolkit” to reach places in difficult terrain as the gadgets are more reliable than previous methods which have included attaching cables to golf balls and hitting them over, or throwing them attached to a hammer. Kevin Drain, Openreach’s chief engineer for the north of Scotland, said: “Although Glenmazeran is only 20 miles from Inverness, the properties are very remote and scattered. We’ve had to contend with steep drops and bankings as we buried cable along the single-track road. “But the biggest challenge was reaching one remote home, 400 metres away from the main route, where the fibre cable needed to span a 50-metre wide stretch of river. The Glenmazeran project is co-funded by residents, community use money from local wind farm operator Eneco, and Openreach. Residents are also helping to dig in the final lengths of cable which travel from the new fibre spine to their properties. Work is ongoing to connect properties to Fibre-to-the-Premises technology (FTTP), with the network now live and around two-thirds of the 37 homes able to order a service. The rest are expected to follow later this month. The technology can deliver download speeds of up to one gigabit per second (1Gbps) – enough bandwidth to stream 200 HD Netflix movies simultaneously.